Farmer (and artist!) 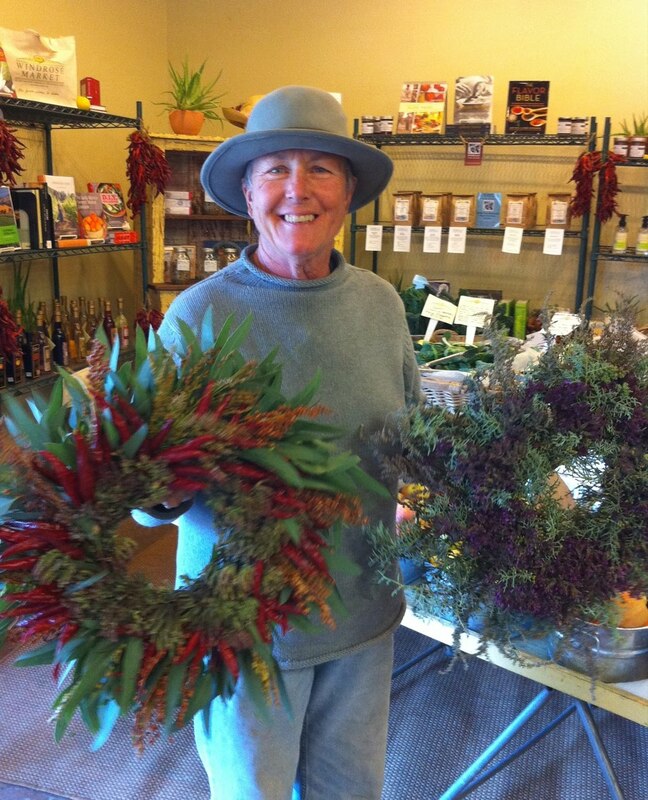 Barbara delivers the first-of-the-season wreaths to Windrose Market. Windrose Market is adding more to their shelves. What started as a small farm stand – to provide the Central Coast community with Windrose farm produce and plants on a daily basis – has blossomed into a fun foodie destination. Eager to promote favorite local businesses, Windrose Market stocks Chaparral Garden vinegars, Tiber Canyon Olive Oils, Secret Garden teas, Joebella Coffee, Veris candles, Beneficial Bee balm, Pasolivo and BarnBoy Furniture. Find us inside of Nature’s Touch, 225 South Main Street in Templeton. 805 434-FOOD.